5-year-old Bacon sizzles with lots of life to live and lots of love to give. 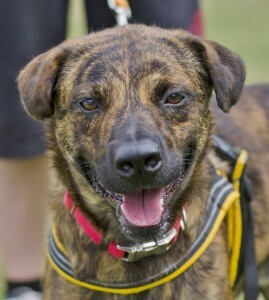 This Plott Hound mix needs plenty of room to run, roam, and sniff about to keep him happy. His personality and dark, beautiful, brindle coat are both indicators of his breeding, but it’s his medium-length hair and small ears that let us know that there’s something else in his heritage. Bacon is a naturally energetic dog who loves to play. 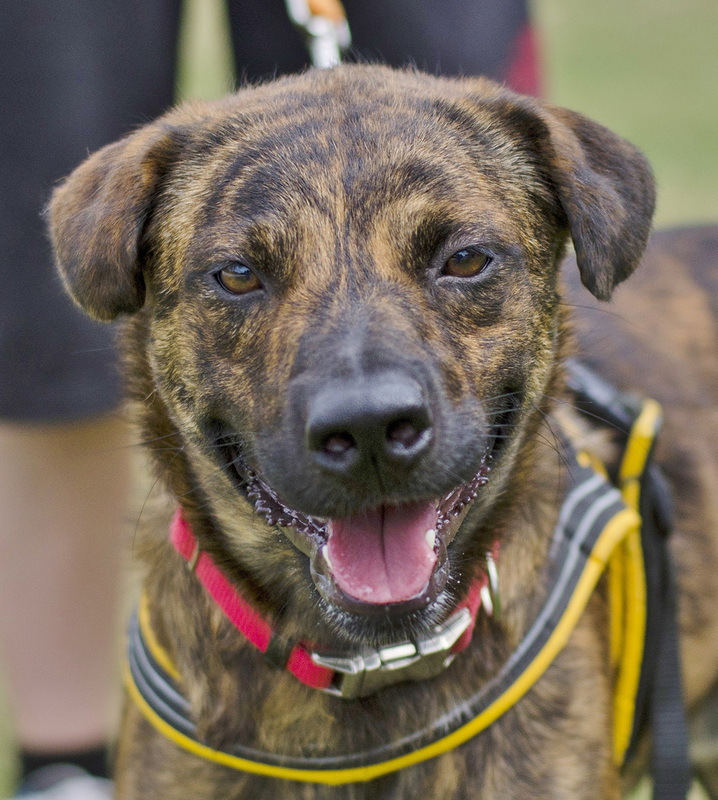 To keep him happy and active, keep him on a regular routine with exercise and activities and he’ll be “right as rain.” Plott hounds are pack dogs, and while most enjoy the company of other four-legged buddies, Bacon is slightly choosy on who joins his circle of friends. He tends likes dogs his size or larger. This loyal dog will thrive with someone who has time to give and can offer outlets for his social energy. NuNu is a slender, 3 year old, shorthaired Calico Tabby. 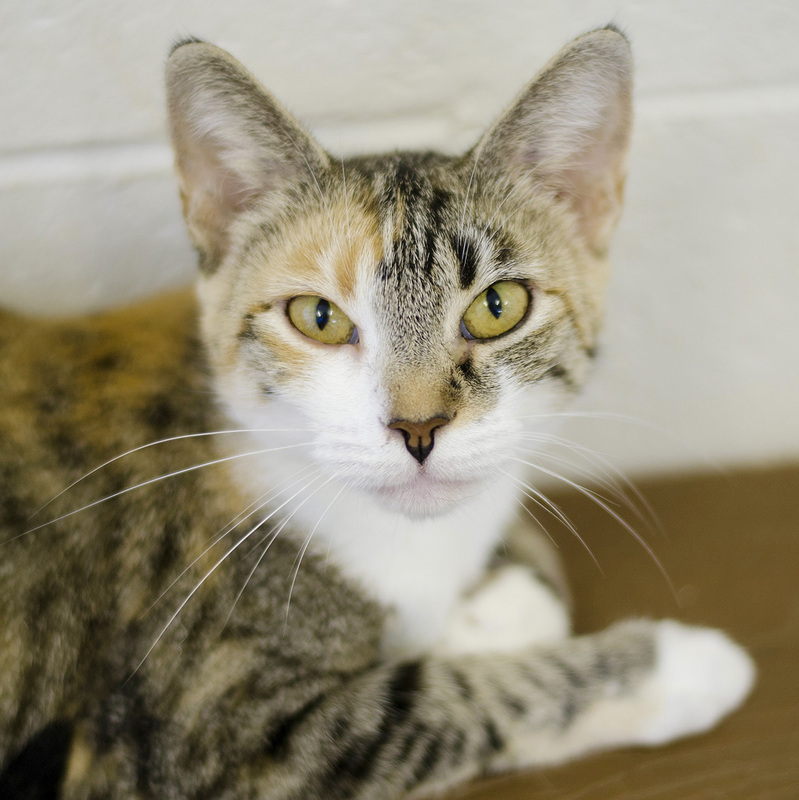 Bubbling over with an affectionate disposition, she loves being held, cuddled, and adored. (Who doesn’t?) This little girl has a fun fashion sense and because she couldn’t choose what color to “wear” — orange, white, brown, black, yellow, gray — she decided to wear them all! She is mellow and laid-back, no matter what are her surroundings. Named for being the “new” cat in her foster home, that evolved into the more quirky “NuNu” that she’s known for today. She daydreams of having a new, or “NuNu,” furever home where she can chill out and continue her life of leisure.